It's been a long time since you have heard from me and I'm extremely sorry for that. I have had an issue with my website vendor so I had to redo it along with working full time and life it has taken way more time than planned to update all of you. If you have sent me an email and I didn't respond, please forgive me. It is very possible I never received it. If that ever happens again, just call me, that way I will know there is an issue. Sadly, the website was having issues for a while and I didn't even know there was a problem until someone told me. I have still been very active with my community. I visited my community in March and in August. It was awesome to see all the families and the kids. Everyone is doing as good as they can. I would ask that you pray for the community and my involvement with them going forward. In March the Lord showed me there were issues going on that I needed to investigate and in August I addressed those concerns with the entire community and made some really hard decisions. I informed the community that there will be changes going forward in the amount of time I spend there. I have worked in this community for a long time and the Lord has showed me for a few visits now that my seeds were being sowed on rocky ground and I needed to find more fertile soil. I shared this with everyone and cleared up some rumors that people were choosing to share about why I had backed off from the community. I left with lots of tears and lots of hugs and and a clear understanding of the changes going forward. Here are a list of the key things that are going to change. Those on my list will stay for know but no new kids will be added going forward. Those students in college will continue to be sponsored but I will not be advertising for other students going forward. If a current sponsor wants to help their student go to college I will see they get that support. I will only visit the community for 1-2 days each trip instead of my normal week. I won't be providing bags of food for every family, only families that have a sponsor send money for food will get one. I won't be bringing extra items to them like the past. No clothes, shoes, household items, etc. I won't be working with Pastor Arturo going forward. He will continue preaching in the church but I will no longer utilize his assistance. My team members who live in Somotillo will support me going forward. This was a really hard decision to make but I feel certain this is God's plan for this community for now. I met with them and dealt with gossip, explained why I was changing things and prayed with all of them. I explain that God has been showing me that I was sowing into rocky soil for some time and now it was time to find fertile soil. I left that day with lots of tears flowing and many hugs given out but an assurance to them that I would be back just not as often. I visited several new communities while I was there and I'm excited about seeing God's new plans for the coming trips. I know he has great plans and being a part of that makes it exciting. It is that time of year again to kick off Operation Education 2017. I have 19 kids who need a sponsor at this moment. Is this the year for you to sponsor a student? $35 sends a student to school for the upcoming year. School runs from February - December. If you have sponsored this past year and your students are not returning these are the kids you can choose from. If you have sponsored this past year and have not told me you want to re-sponsor, your kids would have been listed on the website for others to sponsor. To pay for the re-sponsor you can either send in a check to my address, pay online or send me a PayPal payment. My new website does not use PayPal as in the past but I can still accept any payments sent to me from your PayPal account if you send them to the email address this post came from. To pay online just access the Sponsor page on my website or by clicking here. I am currently recruiting people to go with me on my December trip. It is the best time of the year to go. Weather is nice, kids are out of school, school graduations are happening. It's a great time to see all God has accomplished for the year. As of now my plans are to go sometime around December 7th. Please send me a message if you would consider going on an upcoming trip. Thanks in advance for your patience with me and now that God has great plans on the horizon and I'm exciting to return to new communities that we visited in August to see what He has in store for us. Happy Easter to you. This is a special time of the year for me. Growing up Easter was all about the candy and the bunny but now it's about my salvation and the opportunity to tell others that they too can have eternal life. One way of getting the opportunity to share God's love and his free gift of eternal life is through Operation Education. These kids have the same dreams our kids have. They want to be the next doctor, nurse, lawyer and even mechanics so that they can help their community. It's so great to hear what they want to do with their lives, to hear their dreams and desires to be better themselves and those around them. I'm so blessed to be a part of it. I am blessed to have many of you as sponsors already and if it was not for you the 120 kids that are attending school would not be. I currently have 4 kids that have been added to my list and they need a sponsor for this year. I leave for Nicaragua on Friday March 25th and I would love to share with them who their sponsor is for this year. If you feel led to bless these kids, please reply to this message as soon as possible. Thanks in advance for blessing these kids. I pray that the start of the new year has brought great blessings to each of you. 2015 was an awesome year for this ministry and for our family. I can't wait to see what God has in store for 2016. Every year He does more and more than the year before. I stand in awe at the things He has allowed me to be a part of these past years and I look forward to the new opportunities and doors that he will open for us. My trip to Nicaragua this past December was a great trip as usual. We had planned for Terry and I and another friend to go but at the last minute my friend got sick and was not able to attend. Terry and I were able to bless a lot of people along with our team in Nicaragua. I am planning my spring trip during the week of Easter, March 25-April 2nd. If you are interested in going with us please let me know as soon as possible. I would love to share my families with you. Here are the different things we covered this trip. Click on the Read more to see the pictures and read about all we got to experience. Pulperia means little store. Kind of like a small little store you would find on a boardwalk or at a park. 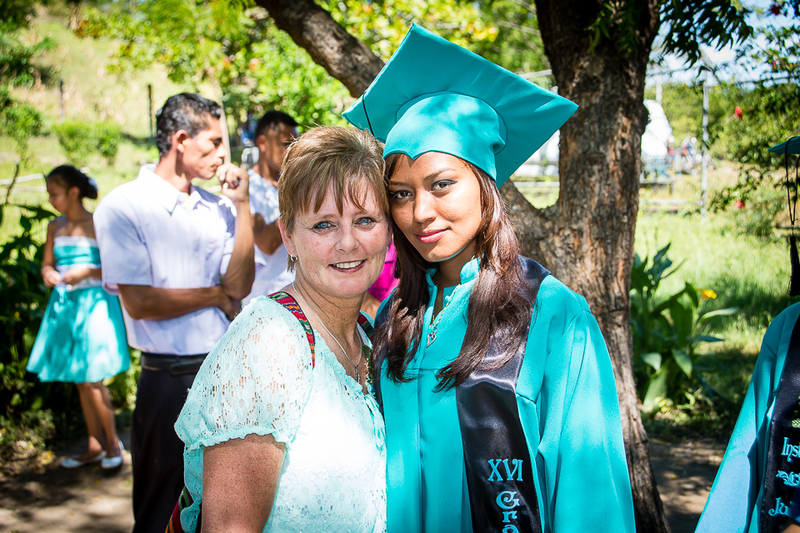 The schools in Nicaragua have graduations just like we do. They call them "Promotions", meaning the child will be promoted to the next level of school, kindergarten to elementary, middle school to high school and high school to college. Feeding the lest of these..
Every trip I take I see growth in the hearts of the community. I see people who use to never share with others give up precious rice for a family who has none. I can't put words to all the changes I have seen in this community. Those changes are the very reason I keep going back. I can't thank each of the partners who have sowed into this ministry this past year. I promise I have used every penny as wisely as possible and to the glory of God. With your support many things have been accomplished this past year, I can not say thank you enough. Ps. Let me know if you would like to go with me in March.. 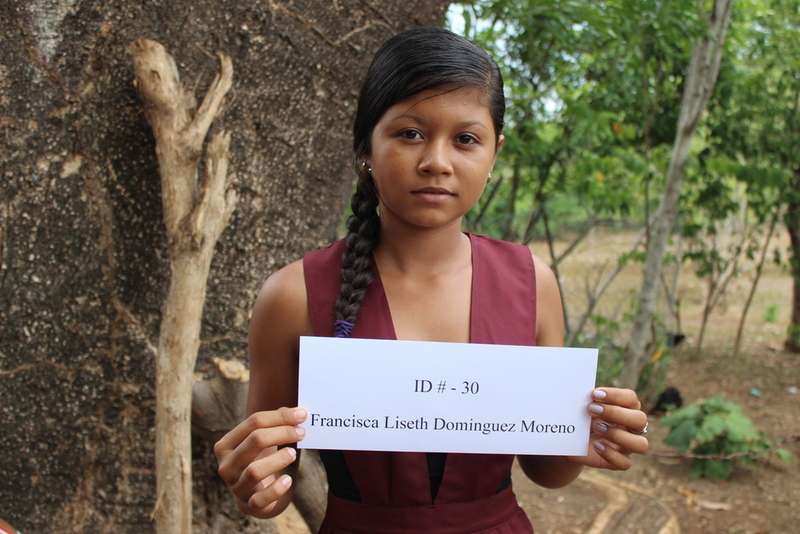 I am happy to say that Francisca will be attending college this coming year and additionally another student that I didn't list will also be attending college this coming year in addition to Francisca because of the blessings from two of my Operation Education sponsors. This is a huge answer to prayer for the entire community and myself. I personally know how these students feel because my family could not pay for me to go to college and I worked two jobs to make it through it along with days after days of great struggles. I would have been elated to have had support like they are going to receive. Out of 72 families the current students and the upcoming students are the only individuals who have ever attended college. They are the first of their families generations to have this privilege and the first of all the families who have ever lived in this community. It is a huge encouragement to all the families who live there. Everyone is very proud of the students and encourage them often. They are all in awe of God's blessing on these students and the families they represent. It will be these types of blessings that open the doors for me to share God's love with these families. This is a miracle in their eyes. It would be to us like winning the lottery. It is truly a life changing event for them. I am so blessed to be a part of this. Thanks so much for being a blessing to these students who are truly the future of this community. Please pray for them as they start this new journey.